In this issue …. The guys get ready for Baltimore and shoot the breeze about comics, valuable figures you can find at shows and more. 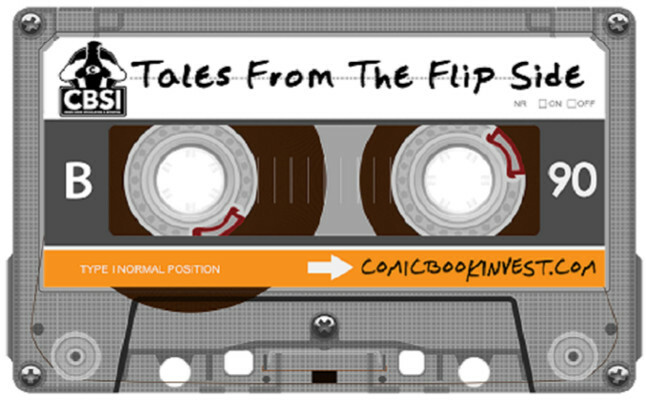 Long live the Flipside! Love this show. Great question brought up by Jon Z. – do you capitalize on an extremely healthy comic market and sell sell sell, or invest a decent amount of cash in keys in the hopes of flipping for profit in a few months? I am taking the first approach and selling off a good portion of my collection – whatever money I am spending is going towards grading with the intention of selling those as well.. I like hearing the stories about some of the bigger purchases you guys have made because I’m more of a nickel- dimer speculator – I’m not the guy to spend a thousand to possibly make a thousand, and I’ve probably missed a few opportunities because of it. I just thought it was a really interesting point because I’ve noticed a similar situation with LeBron James in the basketball card market – it’s a great time to sell, but there are buying opportunities as well as sales prices for his rookie cards, autos, numbered parallels and high ratio inserts continue to go up month after month just like prices for Hulk #181 and many of these other comics. Enjoyed the show!